“Let all the house of Israel therefore know for certain that God has made him both Lord and Christ, this Jesus whom you crucified” (Acts 2:36). Jesus told his followers that after he ascended to heaven, the Holy Spirit would begin to do a new thing. The Holy Spirit would “come upon [them]” and give them power to be witnesses (Acts 1:8)—witnesses of what God had done through the death and resurrection of Jesus. The events of Acts 2:1-41 took place on the Day of Pentecost, fifty days after the start of Passover (during which Jesus was crucified) and ten days after the ascension. Luke writes that his “first book” (i.e., the Gospel of Luke) was about what “Jesus began to do and teach” (Acts 1:1). The book of Acts is about what Jesus continued to do and teach through the church in the power of the Holy Spirit. In Acts 2, we read about how the followers of Jesus “were all filled with the Holy Spirit and began to speak in other tongues as the Spirit gave them utterance” (v. 4). What was the main purpose of the Holy Spirit’s activity on the Day of Pentecost? And what is the main purpose of the Holy Spirit’s activity in our lives today? On the Day of Pentecost, Jerusalem was filled with people who were visiting the city from other countries (vv. 8-11). The people were “bewildered” (v. 6), “amazed” (vv. 7, 12), “astonished” (v. 7), and “perplexed” (v. 12) that the followers of Jesus (“Galileans,” v. 7) were able to speak in many different languages. Some thought they were drunk (“They are filled with new wine,” v. 13). The apostle Peter explained to the people that the gift of tongues was the fulfillment of Joel’s prophecy (“And in the last days it shall be, God declares, that I will pour out my Spirit on all flesh,” v. 17; cf. Joel 2:28-32). What Peter really wanted to do was point people to “Jesus of Nazareth” (v. 22). He proclaimed to the people six truths about Jesus. 1) Jesus was “accredited” (v. 22, NIV). 2) Jesus was “delivered up” (v. 23). 3) Jesus was “crucified” (v. 23). 4) Jesus was “raised” (v. 24). 5) Jesus was “exalted” (v. 33). 6) Jesus was made “both Lord and Christ” (v. 36). After hearing what Peter had to say about Jesus, the people ask, “What shall we do?” (v. 37). Peter answered, “Repent and be baptized  everyone one of you in the name of Jesus Christ for the forgiveness of your sins, and you will receive the gift of the Holy Spirit” (v. 38). Sometimes what people need to hear is not what they want to hear. The Holy Spirit’s main purpose is to point people to Jesus. We can point people to Jesus through both our words and deeds. Acts 2 is mainly about the words of Jesus’ followers, but Acts 2 also says that the followers of Jesus had “favor with all the people” (v. 47). They were pointing people to Jesus through the kind of lives they lived. Our neighbors or coworkers should say of us, “He/she is a good person.” If they say, “He’s a jerk,” or “She’s a gossip,” they’ll disregard any words we say about Jesus. The new thing that the Holy Spirit is doing in these days is all about Jesus. This doesn’t mean that the Holy Spirit was inactive prior to Acts 2. The second verse of the Bible says, “The Spirit was hovering over the face of the waters” (Gen. 1:2). A person is not necessarily a human being (e.g., an angel is a person but not a human). Preaching is not really Christian preaching if it doesn’t point people to Jesus. If someone from a different religion can agree with everything a preacher says, it’s not Christian preaching. Baptism is not something we must do in order to be saved. “The willingness to submit to baptism is an outward expres-sion of inward faith in Christ” (ESV Study Bible). The Acts of the Apostles is the sequel to the Gospel of Luke. Luke writes that his “first book” (i.e., the Gospel of Luke) was about what “Jesus began to do and teach” (Acts 1:1). The Acts of the Apostles is about what Jesus continued to do and teach through the church. We are living in the time between two great events: the ascension  and the second coming. You could say that we’re living in the meantime. In the meantime, there is one thing we must not do. What is the one thing we must not do? We must not do nothing. After Jesus ascended to heaven, the apostles were mildly rebuked by the two angels: “Why do you stand looking into heaven?” (v. 11). Jesus went up to heaven, and one day he’ll return; in the meantime, we have work to do. Though they lived in a different time and culture, the apostles and the other followers of Jesus were people like us. Like us, they struggled with fear and doubt. The resurrection of Jesus was not something that was easy for them to believe. This is why Jesus gave them “many proofs” (v. 3). What kind of evidence would you need in order to believe in the resurrection? That’s the kind of evidence that they were given. “As [the apostles] were looking on, [Jesus] was lifted up, and a cloud took him out of their sight” (v. 9). We shouldn’t downplay the significance of the ascension. Jesus is now “exalted at the right hand of God” (Acts 2:33; cf. Psalm 110:1). The apostle Paul writes, “Christ Jesus is the one who died—more than that, who was raised—who is at the right hand of God, who indeed is interceding for us” (Rom. 8:34; cf. Heb. 7:25). The two angels said to the apostles, “This Jesus, who was taken up from you into heaven, will come in the same way as you saw him go into heaven” (v. 11). Jesus will one day return bodily  and visibly. As we await the return of Jesus, we are to be doing the mission he gave us. After Jesus ascended to heaven, he sent the Holy Spirit to indwell his followers. The Spirit would provide the necessary power for mission. Jesus said, “You will receive power when the Holy Spirit has come upon you, and you will be my witnesses in Jerusalem and in all Judea and Samaria, and to the end of the earth” (v. 8). The message of biblical Christianity is not “God loves me, period…” the message of biblical Christianity is “God loves me so that I might make him—his ways, his salvation, his glory, his greatness—known among all nations.”  We can be witnesses anywhere—on the other side of the world (e.g., as a missionary in China) or here in Halifax. We are often guilty of wasting time--even "killing" time. We would probably waste less time if we could see the time of our lives ticking down. We are living in the time between two great events: the ascension and the second coming. Jesus went up to heaven, and one day he’ll return; in the meantime, we have are to be witnesses of what God has done for us through the death and resurrection of Jesus. We need to live the gospel, and we need to share the gospel. Both books were written by Luke to a man named Theophilus (Luke 1:3; Acts 1:1). 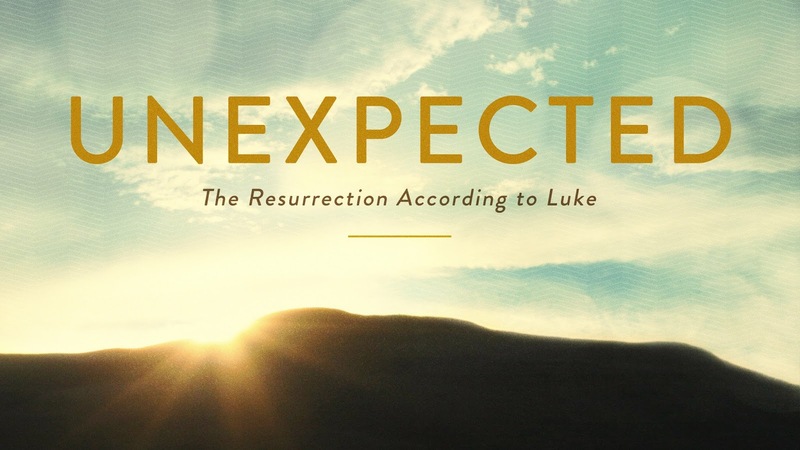 The Gospel of Luke ends with the ascension (24:50-53); Acts begins with it (1:6-11). Yes, I know this is a double negative. In other words, we must do something. Some of them even doubted right up until the time of Jesus’ ascension (Matt. 28:17). Jesus was with his followers for “forty days” (v. 3) between his resurrection and ascension. If the resurrection had happened on the date of this year’s Easter Sunday (March 27), then the ascension would have happened on May 6. Jesus did not cease to be human when he ascended. He will return as a man. This is why Jesus leaving his followers was not a bad thing. The risen Jesus said to Mary Magdalene, “Do not cling to me [i.e., hold on to me], for I have not yet ascended to the Father” (John 20:17). “The geographical scope of Acts 1:8 provides a rough outline of the entire book: Jerusalem (1-7), Judea and Samaria (8-12), the ends of the earth (13-28)” (J. B. Polhill, Acts, 86). This saying is commonly attributed to Francis of Assisi. 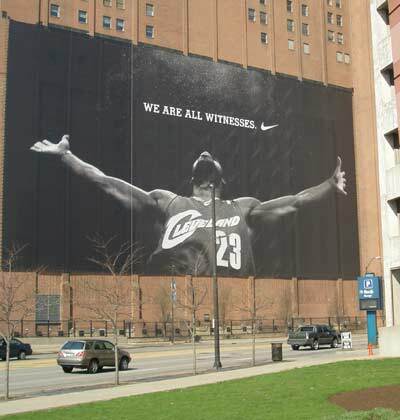 “You are witnesses of all these things. And behold, I am sending the promise of my Father upon you. But stay in the city until you are clothes with power from on high” (Luke 24:48-49). After his resurrection and before his ascension, Jesus told his followers, “You are witnesses of these things [i.e., his death and resurrection]” (v. 48). Though we haven’t seen these things with our own eyes, we too are to be witnesses of what God has done for us through the death and resurrection of Jesus. It was these fearful people who were to be “witnesses” (v. 48). How can fearful people share the message of the death and resurrection of Jesus? The followers of Jesus were to spread the gospel “to all nations, beginning from Jerusalem” (v. 47). Remember what had happened in Jerusalem earlier than weekend: (1) Jesus had been arrested; (2) ten of the disciples had deserted Jesus; (3) Peter had denied knowing Jesus; (4) Jesus had been crucified. The gospel would have been a very unpopular message in Jerusalem—and a dangerous one to share! The task that Jesus gave to his followers wasn’t an easy one. And it's still not easy! Jesus said to his followers, “Behold, I am sending the promise of my Father upon you” (v. 49). This promise was the promise of the Holy Spirit, who would indwell believers after the ascension of Jesus. To be effective and courageous witnesses, they needed the Holy Spirit’s presence: “But stay in the city until you are clothed with power from on high” (v. 49; cf. Acts 1:8). 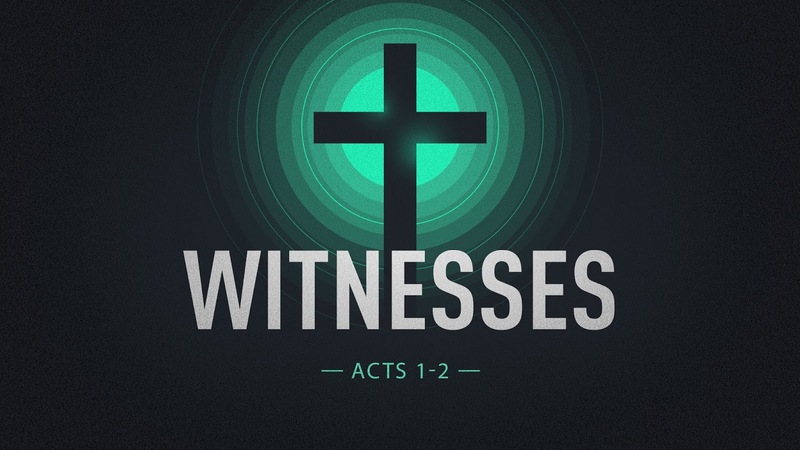 If God wants us to be witnesses, he will give us the power to be witnesses. Peter probably seemed like an unlikely person to be an effective and courageous witness. He had a habit of sticking his foot in his mouth, and he denied knowing Jesus. But in Acts 2, we see that Peter had been transformed. He is proclaiming the gospel of Jesus on the streets of Jerusalem. The only explanation is that the Holy Spirit made him a changed man. Maybe you don't think you're able to be a witness. Most of us are not theologians. But we all can simply tell our story--the story of what God has done for us through the death and resurrection of Jesus. The original followers of Jesus were also skeptical people. They thought that the risen Jesus was a “spirit” (v. 37), and Jesus had to prove to them that he had a real physical body: “Touch me, and see” (v. 39); “Have you anything to eat?” (v. 41). “But we had hoped that he was the one to redeem Israel” (Luke 24:19-21). In Luke 24, we are introduced to two followers of Jesus. The name of one of the men is Cleopas, and the other is unnamed. They are walking home from Jerusalem, the city where Jesus had been crucified on Friday. It’s now Sunday. Before they their departure from Jerusalem, they had heard the reports about the tomb of Jesus being empty. But the two men don’t believe a resurrection has happened. That’s impossible! They once had great hopes for what Jesus could do. Now he’s dead, and they are left feeling disillusioned and disappointed. We who are Christians understand the significance of the death of Jesus, and we believe in his resurrection. But as we go about our daily lives, it’s possible for us to forget about the cross and the empty tomb. The death and resurrection of Jesus tell us truths we need to hear each day. The apostle Paul writes that the gospel is “of first importance” (1 Cor. 15:3). The most important truth we need to understand is the gospel. The basic facts of the gospel are (1) “that Christ died for our sins,” (2) “that he was buried,” and (3) “that he was raised on the third day.” The gospel is the good news about the death and resurrection of Jesus Christ. What do the death and resurrection of Jesus say to us? 1. The death of Jesus tells us that we are valued by our Creator. 2. The resurrection of Jesus tells us that there is hope for a better tomorrow. C. S. Lewis writes that “creatures are not born with desires unless satisfaction for those desires exist. A baby feels hunger: well, there is such a thing as food. A duckling wants to swim: well, there is such a thing as water. If I discover within myself a desire which no experience in this world can satisfy, the most probable explanation is that I was made for another world.”  We long for something more because we were made for something more. One popular view of death is that it’s simply a natural part of life that we must all embrace. But no matter how often we tell this to ourselves, death never becomes easy for us to accept. Death is an unhappy ending to life, and we naturally crave happy endings. When we are a fan of a baseball team, we long for a happy ending to the season. When we read a novel or watch a movie, we want the story’s main characters to live “happily ever after.” Years ago, instead of “happily ever after,” stories ended with the words “happily until they died,” which doesn’t sound quite as happy. But it’s true that every life ends in death. And death is sad. It’s not a happy ending. Thankfully, God did not accept death but sent Christ into the world to defeat it. Christ’s crucifixion and resurrection began the countdown to when God would rid his creation of the curse. When “[God] will wipe away every tear from [our] eyes, and death shall be no more” (Rev. 21:4). We need to recapture the excitement that comes from understanding and believing the gospel. 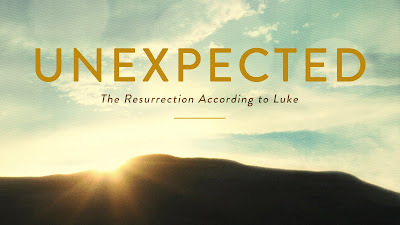 The resurrection of Jesus is not merely a great event from the past, but it is something that can changes our futures! In the Gospel accounts, the first skeptics of the resurrection are Jesus’ followers. If the story of the resurrection was a lie invented by the followers of Jesus, it would have been told in a way more flattering to the inventors of the lie. They were looking for someone to lead them to victory against the Romans. They saw the cross as a defeat. Observation: It was the women who went to the tomb to finish the work of Jesus’ burial. Even today, it’s the women who are often willing to do undesirable jobs. Timothy Keller, The Meaning of Marriage, 48. J. D. Greear, Gospel, 57. The two men recognized Jesus when he broke the bread (v. 30). This is reminiscent of when Jesus broke the bread during the Last Supper (Luke 22:19). As the two men didn’t “see” Jesus even though he was with them, during the Lord’s Supper Jesus is with us even though we can’t see him.